Today marks the day that Nicaragua and her Chinese backers are breaking ground on the grand inter-oceanic canal that in five years will bisect the Central American isthmus and allow super-tankers too large for the Panama Canal to make the Pacific-Atlantic journey with ease. Except it is never going to happen. The history of Nicaragua is basically the history of failed canal attempts, and the foreign manipulation and betrayal, as well as the domestic anguish and languish that this brings. This is no less than the 72nd official proposal for a Nicaraguan canal. This won’t even be the first time that construction has begun. The first plans for a canal across Nicaragua were hatched by the conquistadors way back in the 1500’s, and Cornelius Vanderbilt nearly secured the financing he needed to construct the canal before the Civil War scuttled his attempts. But he did manage to incite a war and build a railroad through Nicaragua in the meantime. Anyone who looks at a map of Central America may be puzzled by the proposal for a canal through Nicaragua. Costa Rica and Panama are far less wide. Nicaragua is the largest country, by area, in Central America. However, Nicaragua also has the largest lake in the region, Lake Nicaragua. At its closest, it is only 17 km from the Pacific Ocean. And Lake Nicaragua drains all the way to to the Caribbean Sea by way of the Rio San Juan (San Juan, or Saint John River). The vast majority of Nicaragua is an Atlantic, not a Pacific watershed. The Rio San Juan is rocky, shallow, and fraught with rapids at spots, but that has not stopped pirates from sneaking all the way up the river, as well as steam ships from being towed up the river. It is the most logical path for a successful canal through Central America. As treacherous as the terrain of the river, the geopolitics of the river are far more rocky. The Rio San Juan is the border between Nicaragua and Costa Rica. However, it is the only riparian border in the world that is wholly owned by one country – in this case Nicaragua. And that has created endless problems and disputes with Costa Rica. So many, in fact, that the proposed route of the canal is completely bypassing the river and being cut straight through the interior of Nicaragua (and even so Costa Rica still has watershed issues that they claim Nicaragua is not responding to, in regards to the canal). I don’t see why this time around should be any different from the 71 other attempts. The main, insurmountable obstacle this time is the estimated price of the canal. Panama started with a good ‘ole American-made canal. Let’s say a Ford. And they have made a series of upgrades through the years. Let’s say right now they have a nice BMW model. To compete with Panama, Nicaragua is trying to acquire a Buggati. A $50 billion Bugatti, super-wide, super-deep, complete with access roads and highways, two deep-water ports, an airport, electric generation, pipelines, free-trade zones, a railroad, and a number of other necessary supply and infrastructure projects! They estimate it will take 50,000 workers and only take five years to complete. If you ask a Nicaraguan where the money is going to come from they always say “China.” I don’t think so. Sure, the main investor at this point is a Chinese telecom mogul. And he is a multi-billionaire. But no one in the world has $50 billion to throw around, and our man in China is quick to point out that he has absolutely no backing from the Chinese government with regards to the canal. No one believes him, but it makes it very unlikely that he can muster $50 billion from his own domestic sources. Besides, between 2010 and 2012 China invested $101 billion, in total, in the entire continent of Africa (source: Business Insider). To think that they would even put half of that into one small country is irrational. I’ll make this one easy. Nordic countries, primarily Norway, have a lot of oil money that they are saving. But they are not going to invest it in Nicaragua. These countries have already pulled back on diplomatic channels and foreign aid to Nicaragua because of transparency concerns. They’re not going to pull a 180 and start pumping billions into a project fraught with questions and uncertainty. Same story as Norway. They’re saving their oil money, and they’re not going to give it to Nicaragua. Unfortunately, this year, Malaysian Airlines, owned partially by the fund, had a rough one, losing two 777’s in their tragic entirety. The fund had to bail out the airline. The price of oil is tumbling, which is probably helping to prop up Malaysian Airlines, on the one hand, but it is stunting the funds cash flow, on the other hand. I doubt they will be announcing a non-stop to Managua from KL anytime soon. And that leaves the Arabs. This is where I see the miracle coming from, if it comes from anywhere. Everyone knows that the Arabs have lots of oil wealth. And they’re known for the audacious. For one, Dubai. For seconds, it was the Arabs who bailed out some of the banks and hedge funds in the early days of the Sub-Prime Mortgage Crisis, long before Lehman Brothers became all too well known. So maybe, just maybe, a jet-setting Chinese man and Ortega’s outdated mustache can convince the right mix of petrocrats to throw in a good chunk of the $50 billion and really get the show on the road. No way Josue. Big banks in America, Europe, and elsewhere, are under immense pressure to demonstrate the viability of their investments. American regulators would pounce on any bankers working on this less-than transparent project, and European banks are already very bearish on shipping, since Northern European banks with shipping exposure were under extra scrutiny during the recently completed European banking stress tests, since global shipping has been very weak since the global recession. For years Hugo Chávez’s Venezuela was the standard-bearer for Latin-American Leftist opposition to America. When Chavez died last year his followers all started pounding their chest to become his heir. This included Correa in Ecuador, Ortega here in Nicaragua, Evo Morales in Bolivia, and of course Maduro in Venezuela. For years Venezuela, and its leftist sphere of influence, the Bolivarian Alliance of the Americas (ALBA in Spanish), have been financing cheap oil for member states as well as other social development projects. However, this all comes from Venezuelan stability and a steady stream of oil dollars into her state coffers. But with oil prices tumbling and Venezuela simmering in social unrest, it’s another no way Josue. It is serenely ironic that the same trends, the rise of US oil and gas production, are giving rise to the need for an American super-canal, while at the same time driving the nail into the coffin of possible financing options, by driving down the price of oil. So it is never going to happen. But that does not mean I do not want it to happen. No one doubts that Nicaragua is starved for development. It is tied for being the second-poorest country in the Americas. Haiti takes the unfortunate crown, with Bolivia tied for second with Nicaragua. The largest concern, after the obvious financing issues, is environmental. First and foremost, there is a 20-foot tide differential between the east and west coasts. And plans for the canal have not addressed this engineering obstacle yet. But furthermore, the canal will drive through protected wetlands, productive agricultural communities, and protected indigenous communities on the Caribbean coast. 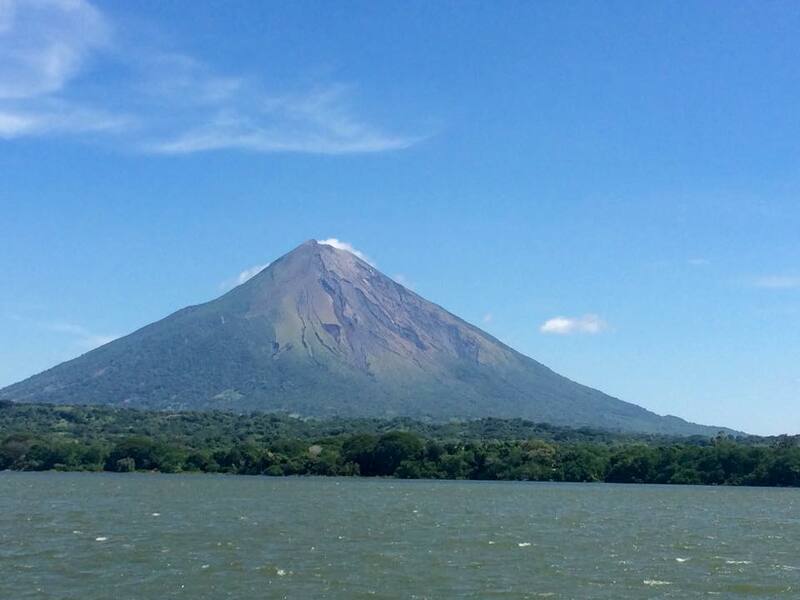 This is all not to mention that the route will go straight through and require the dredging of Lake Nicaragua, which is the largest source of freshwater in Central America. It is already an extremely fragile freshwater ecosystem due to agricultural and other pollutants streaming into the lake. Everyone from locals to parties interested in the fledgling tourism industry are in extreme opposition to the canal. But lastly, I doubt that Nicaraguans will reap the benefits of the canal, which is how Ortega is selling the whole scheme to his people. The Chinese development corporation has a 50-year concession on profits, with another 50-year option to extend. Ortega is promising 250,000 jobs that will be born as a result of the canal, plus the need for 50,000 laborers on the construction. But of course I have my doubts. The canal will drive through some of the most sparsely populated and least developed departments of the country. Hundreds of thousands of people will have to relocate in order to realize those 250,000 jobs, which will lead to a lot of social strains on the country. Plus, given the under-education of the Nicaraguan people, the best-paying of the 50,000 construction jobs will mostly go to foreigners, not Nicaraguans. And I think it also bears mentioning that the highest HIV rates in Nicaragua are often in mobile populations, much like the worker camps will be. Has anyone put any thought into the epidemiological and public health effects of this project? Nicaragua and the Chinese development company hired McKinsey to conduct a feasibility study. Officials refuse to release the results, but they are quick to point out the stellar economic projections. In 2013 GDP growth paced along at 4.6%. Official projections for the canal show that in the first year of construction GDP growth will skyrocket to above 14% and stay there for the foreseeable future. I just finished reading Confessions of an Economic Hitman. I hated the book. It was poorly written and not believable. But I can’t fail to mention that the author emphasized that the main tool of an economic hitman is inflated growth projections. It is guaranteed that the construction of a canal would attract a ton of foreign direct investment in Nicaragua, but sustained rates above 10% are preposterous and only part of the Chinese boondoggle to attract investment in the first place. If the project ever truly gets off the drawing board (the groundbreaking today is ceremonial, nothing more) I will be in opposition. I fear that Nicaragua will bear many negative externalities while reaping few benefits.